Mfine, a yet-to-be-launched online doctor consultation platform floated by Myntra co-founder Ashutosh Lawania, is set to raise Rs 6.81 crore (around $1 million) in its first round of external funding. The startup’s board passed a resolution on July 27 to raise the funds, according to its filing with the Ministry of Corporate Affairs (MCA). However, the documents did not reveal the identity of the investors. The firm will issue 28,090 Series A preferential shares with a subscription price of Rs 2,426 apiece that includes a premium of Rs 2,425, to raise Rs 6.81 crore. The investors will also get a 16.27% stake in the firm in return for the investment, according to its filing with MCA. Bengaluru-based Mfine, which is operated by Novocura Tech Health Services Pvt. Ltd, will use the funds for product development and to meet working capital requirements. It could not be immediately ascertained whether the company has already received the funding. It is also not clear whether this could be part of a larger round of funding. E-mail queries sent to Lawania and Mfine co-founder and CEO Prasad Kompalli did not elicit a response. Mfine was founded in February 2017 by Lawania and Kompalli. Lawania— who had co-founded Myntra along with Mukesh Bansal and Vineet Saxena in 2007—quit Myntra in February, following a top management reshuffle. Kompalli was previously heading Myntra’s e-commerce platform and quit in December 2016. 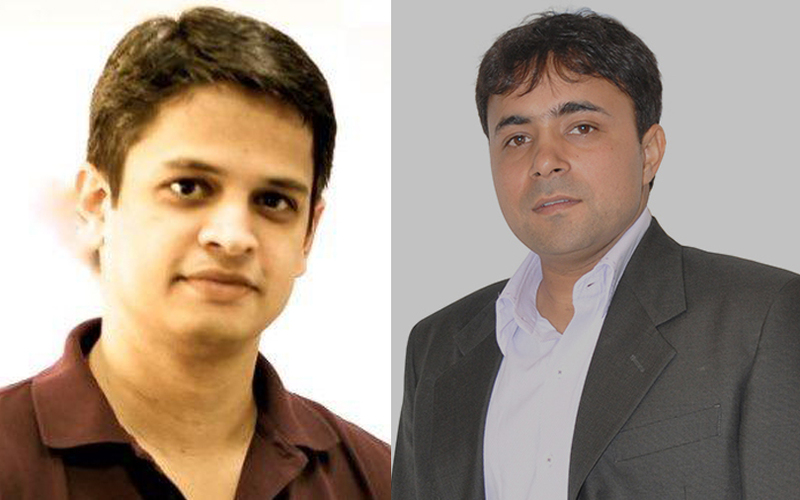 Ajit Narayanan, who quit as Myntra’s chief technology officer in June this year, has joined Mfine as CTO. He is also one of the founding members of Novocura, according to his LinkedIn profile. Former head of growth and sales at Myntra, Arjun Choudhary is another founding team member of Mfine. Choudhary is also chief business officer of the venture. Using a chat window, patients can consult doctors from hospitals on the platform’s network. Patients can consult pediatricians, gynaecologists, obstetricians and physicians. They can also collect samples for lab tests and order medicines from the comfort of their home. Mfine will also develop a consumer facing mobile app which will also act as a health tracker, according to its website. It is not clear whether the platform will also offer home visits by doctors. A couple of ventures in the health tech space have raised funding recently. Earlier this month, Bengaluru-based Cure Fit Healthcare Pvt. Ltd, which operates health and fitness platform CureFit, raised fresh capital from venture debt firm Trifecta Capital Advisors LLP and Infosys co-founder Kris Gopalakrishnan’s Prathithi Investment Trust. Last month, Gurgaon-based 1mg Technologies Pvt. Ltd, which operates online drug marketplace 1mg, raised $15 million (Rs 96.7 crore) in a Series C round of funding from its existing investors. In the same month, Health Vista India Pvt. Ltd, which provides home healthcare services under the Portea Medical brand, said it is in an advanced stage of talks to raise $25 million (Rs 160 crore) in a Series C round from three potential investors.